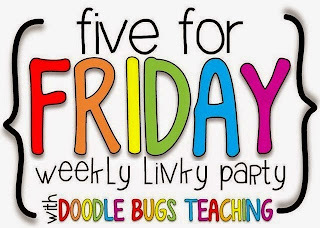 I'm popping in to link up with Kacey from Doodle Bugs Teaching to share five things from this week! We started to revamp our writing system this week as a division. I will post more about it when it is up and running but one change I made is going from paper in duotangs to these folders. 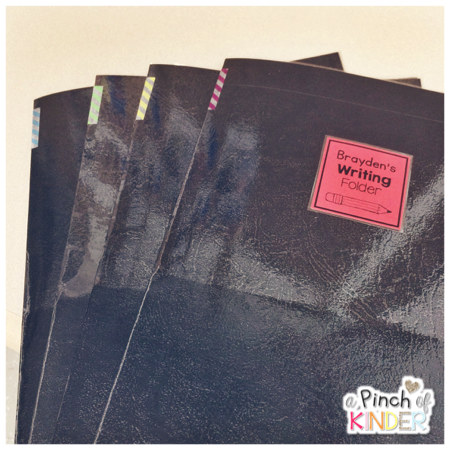 I colour coded them so that it is easier for the kids to find their folder when they are ready to write. Red is for JK boys, yellow is for JK girls, green is for SK boys and blue is for JK girls. I'm looking forward to seeing how these work out! My kids love egg carton games but regular egg cartons don't last too long in a kindergarten classroom... so I was so pumped when I found these plastic egg cartons at Dollarama! I made up some carton labels and recording sheets to go with them. You could use them on regular egg cartons too. Click here or on the image above to download them for free! We had our last birthday of the year today! We keep birthdays really simple. 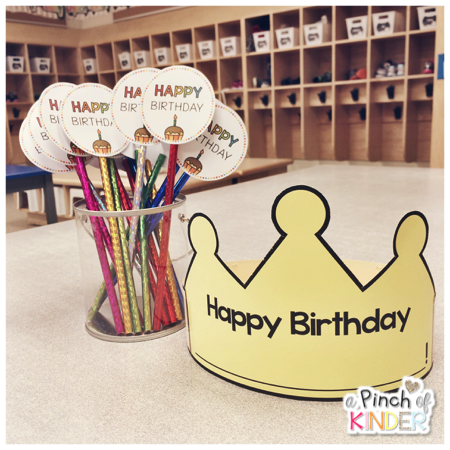 At our first morning circle the birthday boy or girl comes up and sits on the teacher chair. I grab them a crown, write their name on it and staple it to fit their heads. They also get to pick a birthday pencil. 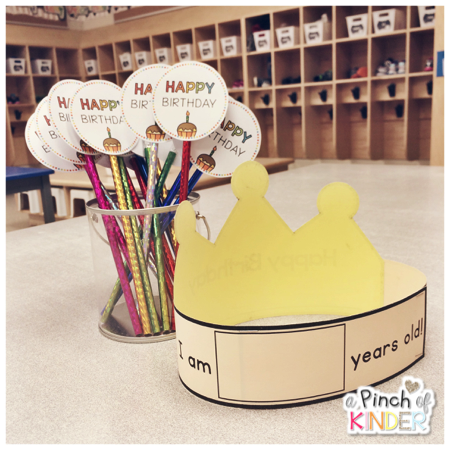 They put their birthday crown on and we sing them happy birthday. At the end of the song we chant "Are you 1? Are you 2?" etc. and they have to stay STOP! when they hear their new age. Then they put their pencil in their backpack and they get a bag of stickers. They get to put the same number of stickers as their age in the box below. 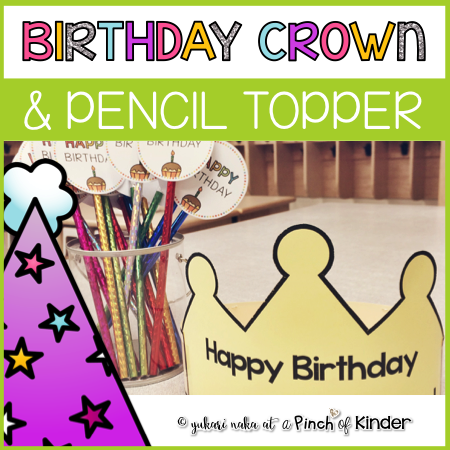 If you would like to download the template for the crown and the birthday pencil for just $1 you can check it out on TPT by clicking here or on the image below! 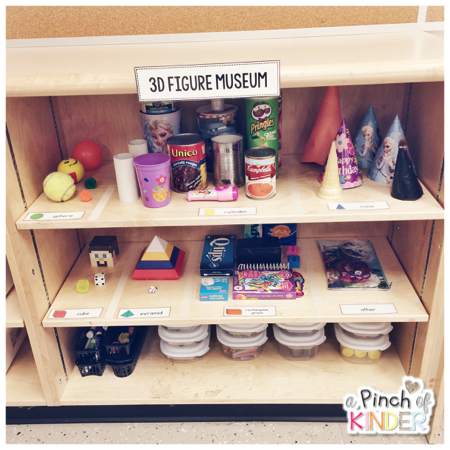 We have been knee deep in 3D figure for math and the kids have been really enjoying it! I did the 3D figure museum again this year and the kids brought in so many neat examples! So many students made 3D figures with their parents this year too which was great! If you want to learn more about how I implement the 3D figure museum you can read more about it by clicking here. Since I got through my 3D figure diagnostics this week I will be meeting with small groups who need more practice with identifying 3D figures next week. 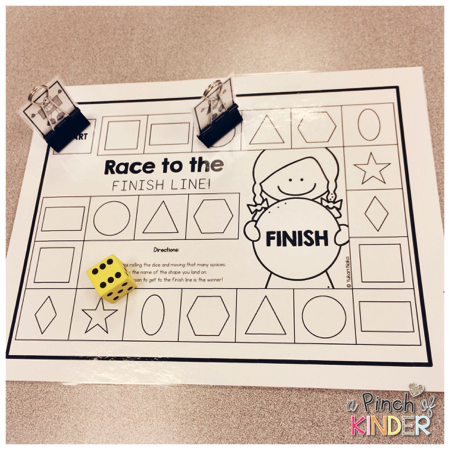 One resource I prepped and will be using is this 3D figure board game! 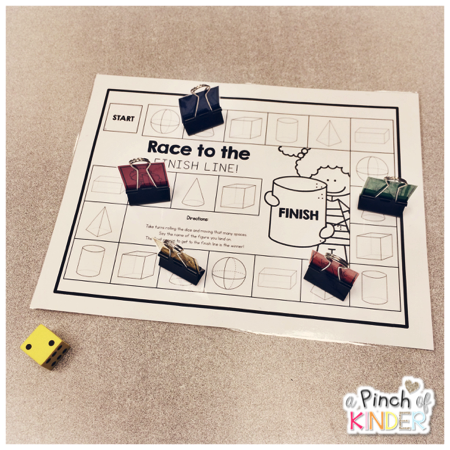 Students will roll the dice, move that many spaces and identify the 3D figure they land on. The first one to the finish line is the winner! 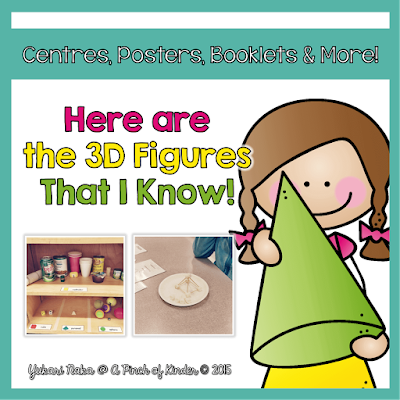 I recently added this to my 3D figure unit on TPT. You can click here or on the image below to redownload it if you already own it or to check it out! That's it from me! How was your week? 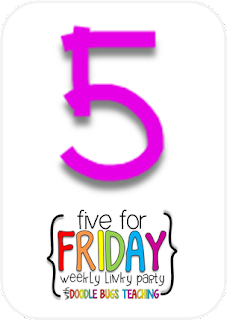 I'm popping in to link up with Kacey from Doodle Bugs Teaching and share 5 random things from this week! We had our Remembrance Day assembly this past Wednesday. Our Grade 8 teacher always organizes a fantastic assembly paying tribute to our veterans. All classes made a wreath to present at the assembly. The kids used black and red tissue paper to decorate the poppies that I had cut out. Then we hot glued it on to a styrofoam wreath that my ECE got from Michaels. 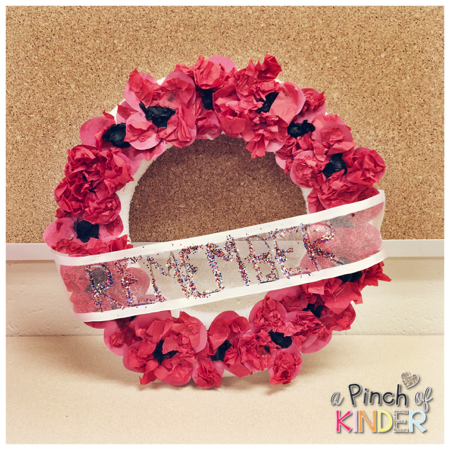 She also made the beautiful "REMEMBER" banner to go across our wreath. 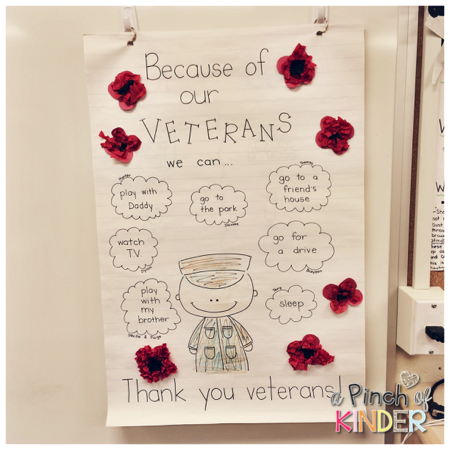 We also read the book "A Poppy is to Remember" by Heather Patterson and talked about who veterans were and why we thank and remember them on Remembrance Day. We talked about how many of the things we liked to do every day are things we would not be able to do if our veterans had not fought for our freedom. Then we made this chart. It isn't always easy getting authentic student-led learning out of our students but this week was a great week! Here is just one example. We have been learning about measuring length in math. One morning one of our students brought in this leaf at entry. 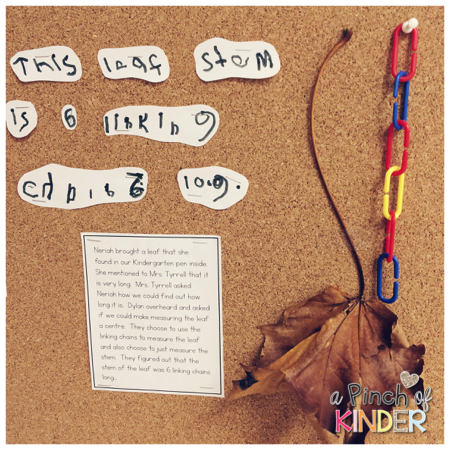 She mentioned to my ECE that the leaf was very long. My ECE asked how she could find out how long it was when another student who was listening in on the conversation said "Why don't we make a leaf measuring centre and measure it with the linking chains?" I have been looking for fun ways to strengthen the student's fine motor skills. 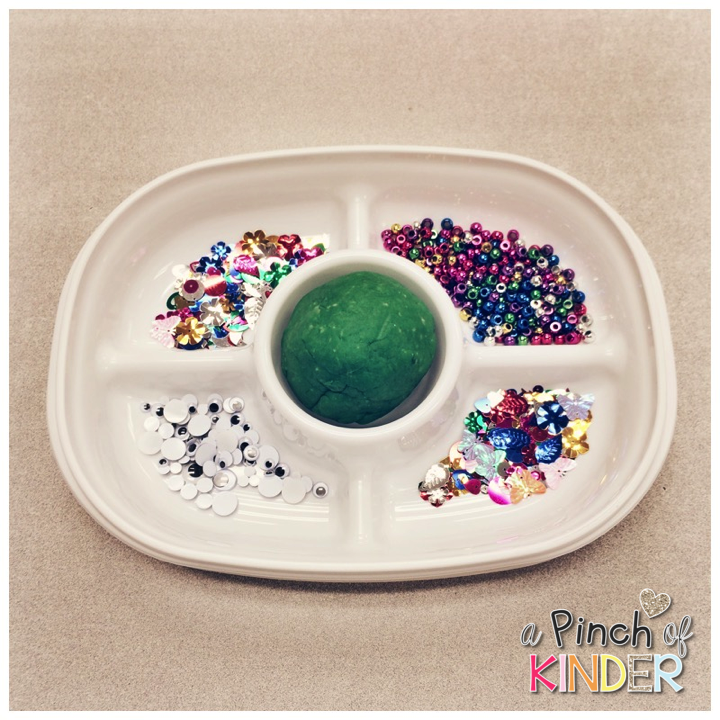 I got this idea from @exploring_in_fdk_at_st.paul on Instagram. 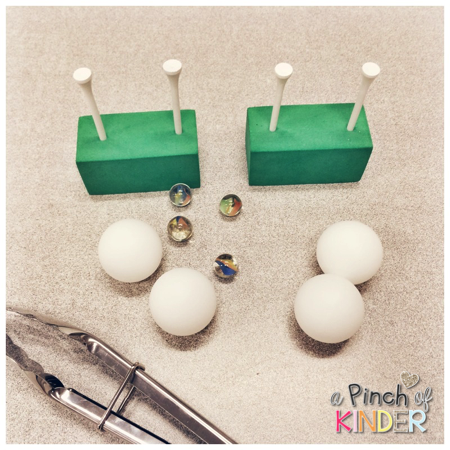 The students use the tongs to balance the ping pong balls and marbles on the golf tees. 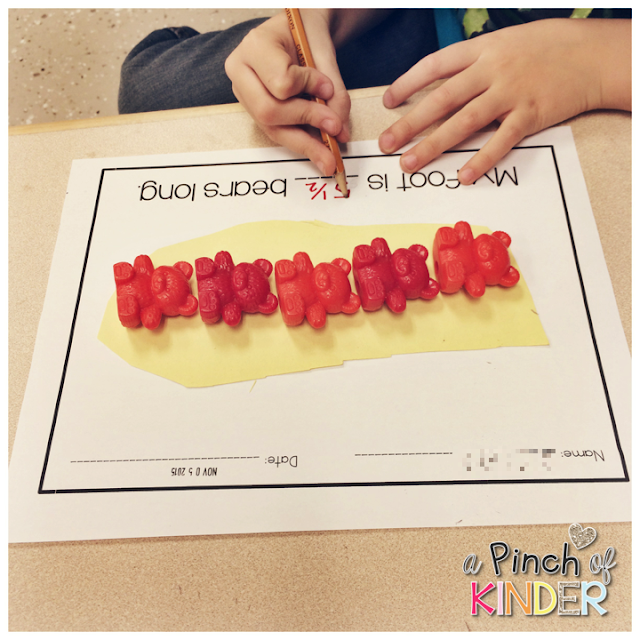 Some students even started making repeating patterns with them! 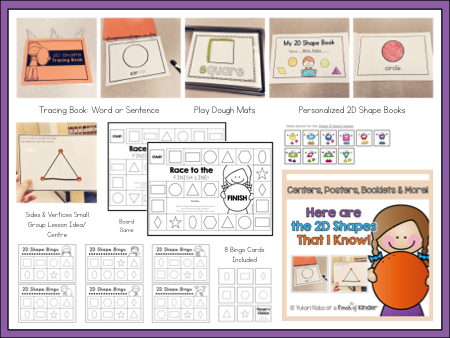 I blogged about some 2D shape interventions I tried this year earlier this week and also updated my 2D shapes unit to include all of the printables I mentioned in that post! If you already own it please redownload from TPT to get the new goodies! That's it from me! 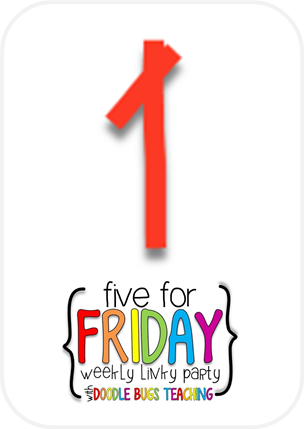 I hope you are having a great Friday! Today I'm going to share a few things I did in terms of interventions for 2D shapes. 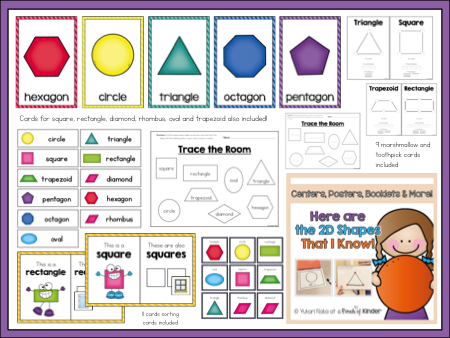 I like starting with 2D shapes because it seems to be an easy concept for most students and knowledge of 2D shapes is needed for strands like patterning, sorting etc. However there will always be some students who will struggle a little... or a lot! I create my intervention groups. Here are the three activities that we did this year! 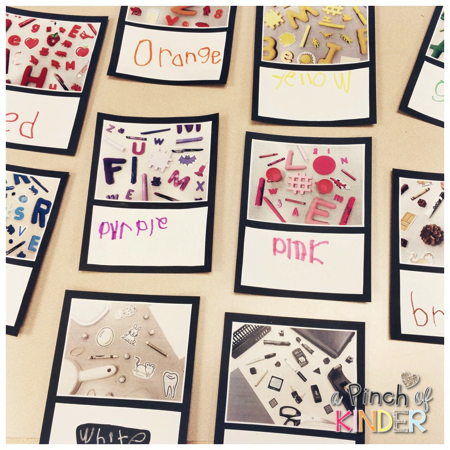 After I have my assessments I write each shape name they need to know and on a piece of paper and write the names of the students who could not identify the name under each shape. 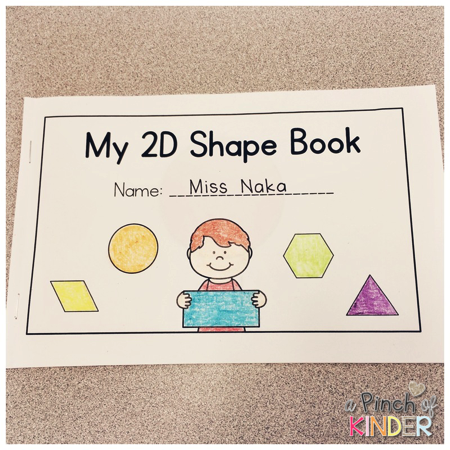 Then I make these 2D shape booklets but include ONLY the shapes that they are not yet identifying. So from the data above Adam would get all 3 shape pages while Jason would only get the triangle page. and we will read the book together. 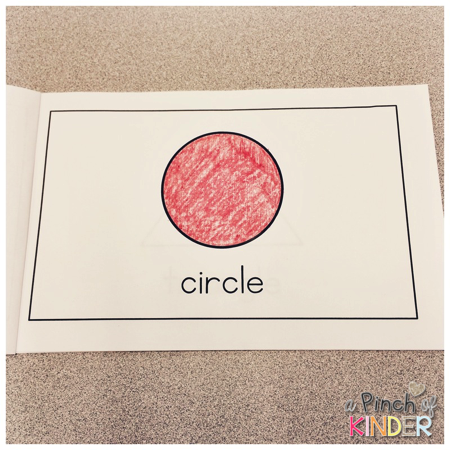 After we read the book they can colour the shapes and keep the book in their book boxes and practice reading it at independent reading time. I have volunteers that come in twice a week and sometimes I have the students take their booklets out and practice with the volunteers. 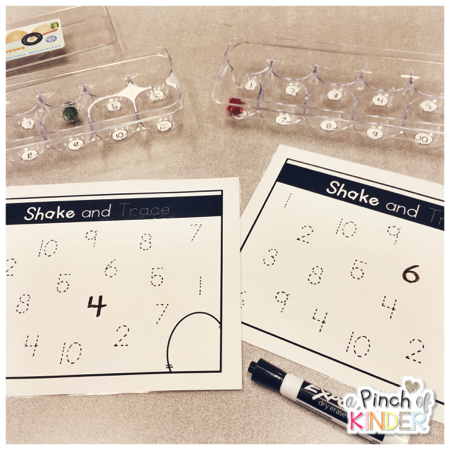 It is an easy way to ensure that they are getting practice with the shapes that they need! My kids LOVE bingo! This one is also great to leave for a supply or with a volunteer. Just tape the list of students who have not yet mastered the name of all of the shapes on the box or stick them in the bag with the bingo cards and you easily know which kids need more practice! This one is the one I find the trickiest! I had a lot of kids who think the sides and the vertices are the same thing this year (actually this is every year..). We did do the play dough balls and straw lesson but I needed something else to really drive the concept home. So I made these hands-on side and vertices cards. 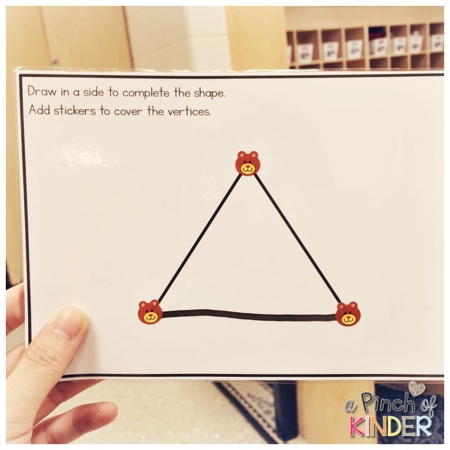 The students have to figure out what shape it is, draw in the missing side and add stickers to cover the vertices. I guess wipe erase marker and stickers were the magic formula because they ate it up!! 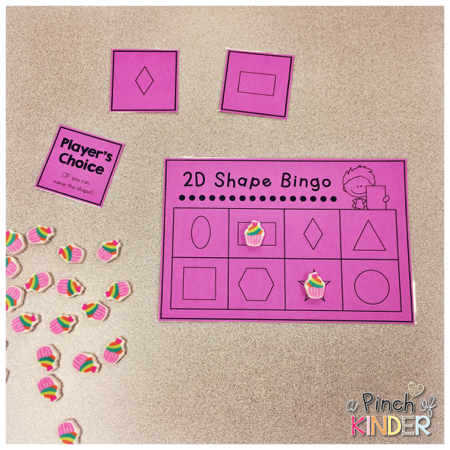 I have added both the booklet, side & vertices cards, the bingo cards and updated the shape board game in my "All About 2D Shapes: A Kindergarten 2D Shape Unit". 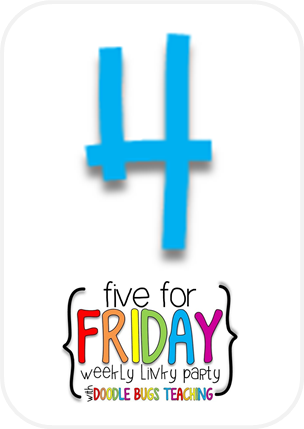 You can click on the image below if you want to check it out :) If you already own it just redownload it from TPT and you will get these updates for free! 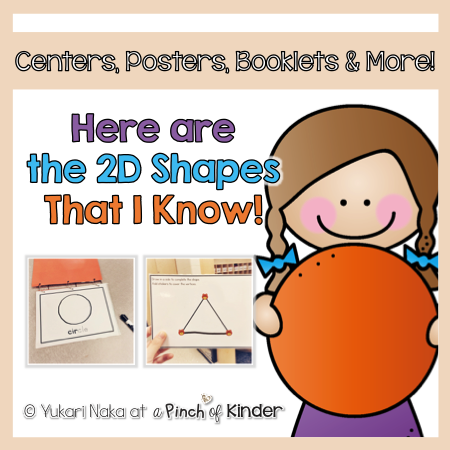 I hope this is helpful for planning your 2D shape intervention! 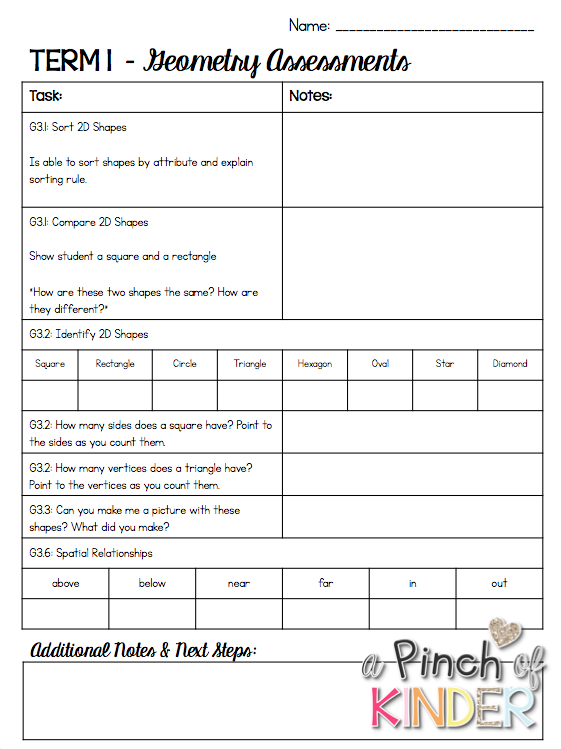 Let me know what you do for kids who struggle with 2D shapes! Today I'm going to post about how I taught measuring length this year. 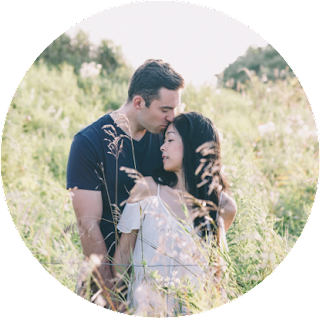 As always here is the unit plan and lessons outlined for easy planning if you want to follow along with my lessons! Click on the image to download it as a pdf for free! 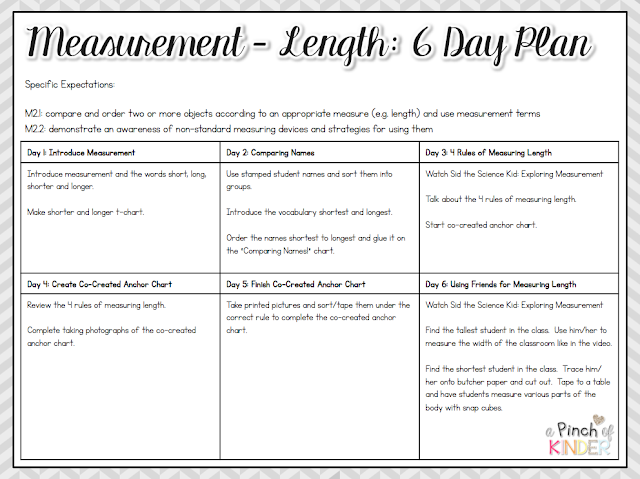 I always start my measurement unit by talking about shorter and longer. First we introduced the vocabulary short, shorter, long and longer and then completed this chart whole class. 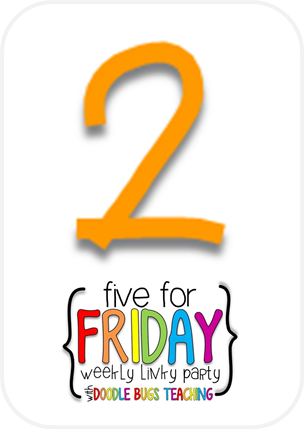 I had strips of construction paper ready and I had the students tear the construction paper into 2 pieces and then tell me which one was shorter and which one was longer. 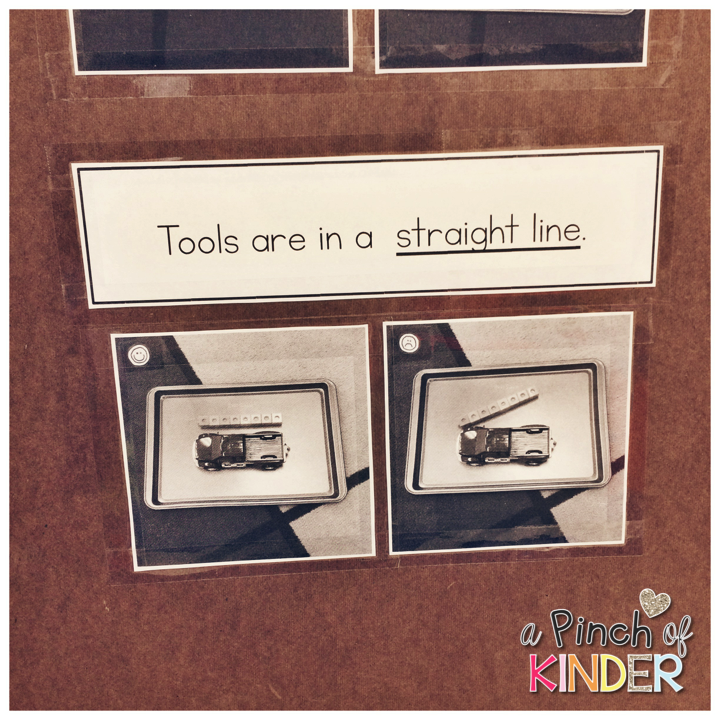 Then we glued it on to the chart. During centres I had my students stamp their names on these templates. 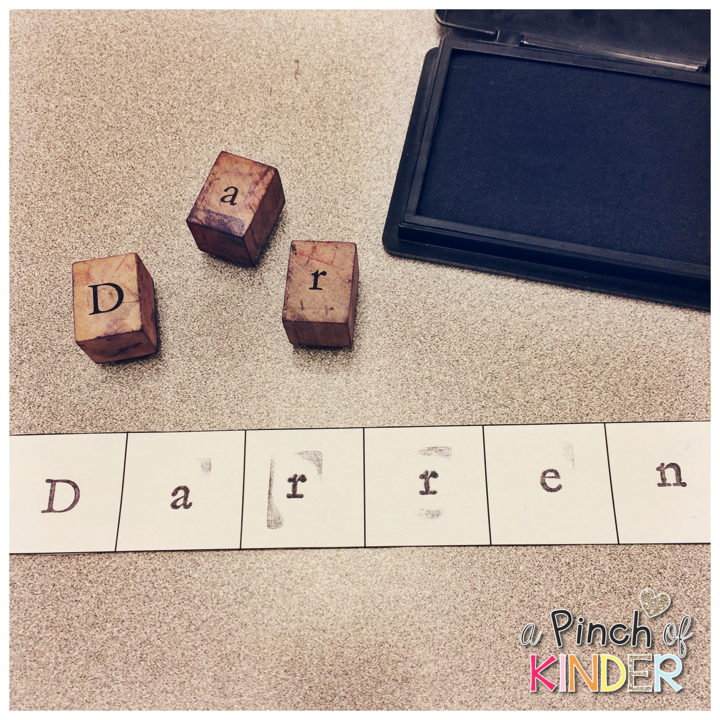 I quickly made these in PowerPoint by creating a table with 8 columns (because the longest name in our class was 8 letters) and adjusted the height so that they were squares. I copy and pasted to have 3-4 tables on a page and then printed, copied and cut so that each student would have a template. 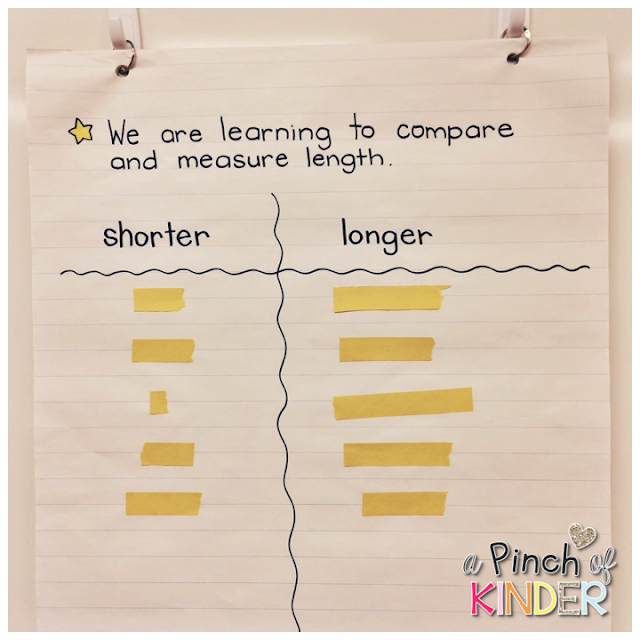 During the lesson we went over our learning goal "We are learning to compare length", talked about what length meant and reviewed our length words short, shorter, long, longer and introduced shortest and longest. I then put their names in the middle of the carpet and we first grouped them according to how many letters were in their names. Then I had students tell me which students had the shortest names and we glued it on the chart below. Then we found the longest name and glued it on the bottom. 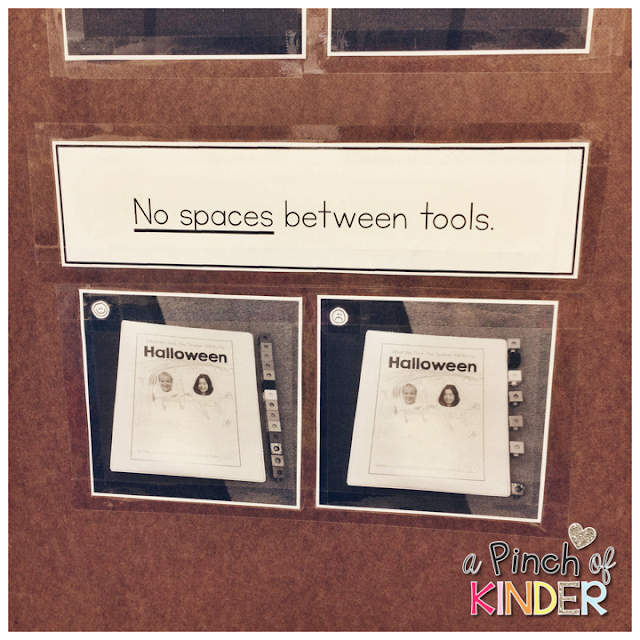 we kept filling it in until we had all of the students up on the chart. 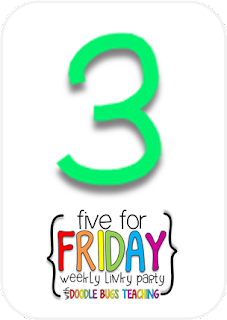 On the third day we watched Sid the Science Kid: Exploring Measurement on YouTube and we learned the four measuring rules. 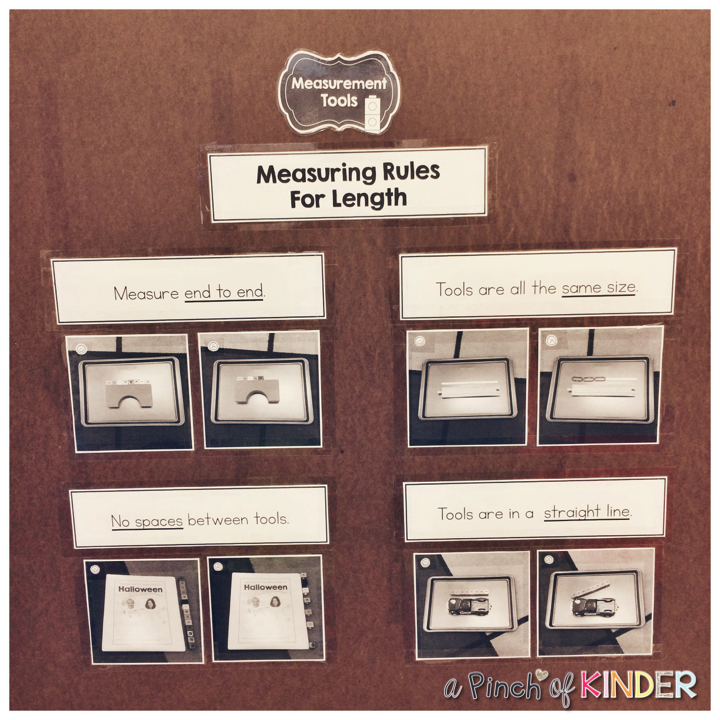 Then the next two days we worked on co-constructing our measuring rules anchor chart for our "measurement tools" section of our interactive math wall. As we picked the rule to demonstrate, I told them that we were going to do a happy face (good) example and a sad face (bad) example. They loved this, especially doing the sad face example! 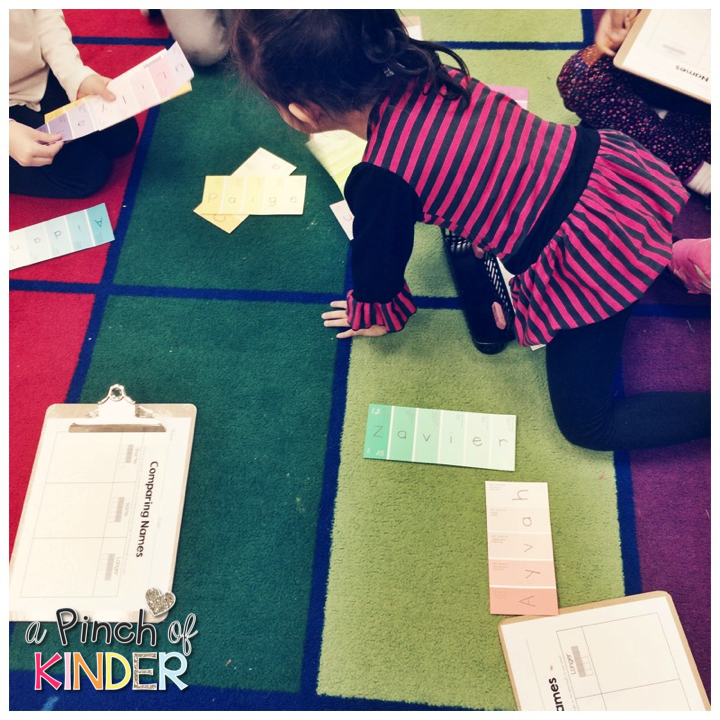 I took the pictures as we made each example, printed them off and then we sorted the pictures and taped them under the rule that it matched the next day. and then we tried the activities from the video! First we used the tallest student in our class to measure the width of our classroom. and then we figured out who the shortest student in our class was and we traced her body onto butcher paper. 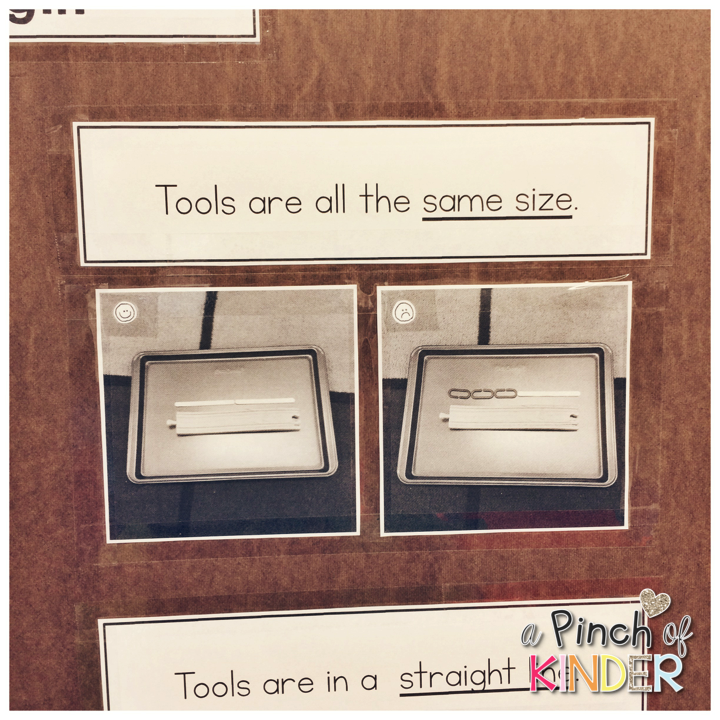 We cut it out, I taped it to a table and it was open as a centre activity for the students to investigate measurement with snap cubes. As one of the summative assessments we measured our feet! I demonstrated whole group and I worked with the students in small groups to complete this activity. This little guy really blew me away. The bears moved while he was writing so the picture doesn't reflect the number well but when he did measure end to end with no spaces there was a little bit of space at the end of his foot. He said "Well one more bear would be too much but I think maybe half a bear would fit, how do you write 5 and a half?" LOVE! In hind sight though I would have just helped him sound it out in words instead of writing it in highlighter for him since he would have been able to do that! After they ordered their snakes they decorated! 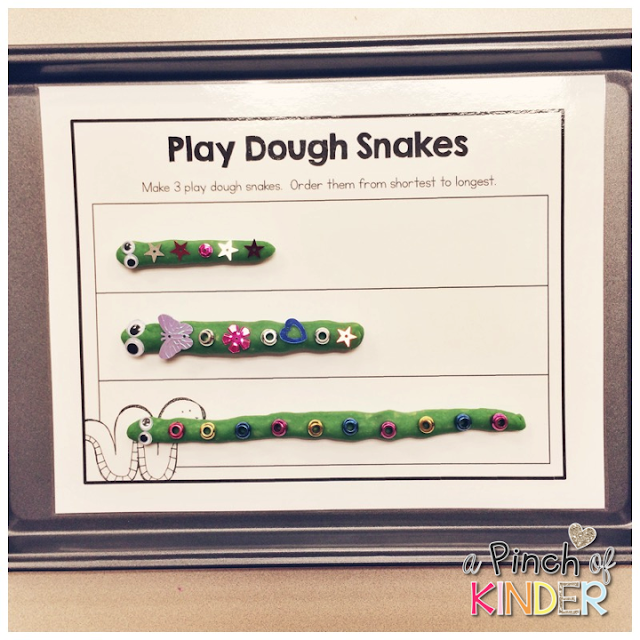 I encouraged patterning on the snakes with the sequins and beads by setting out my example below. These were a big hit for a few days and so easy! 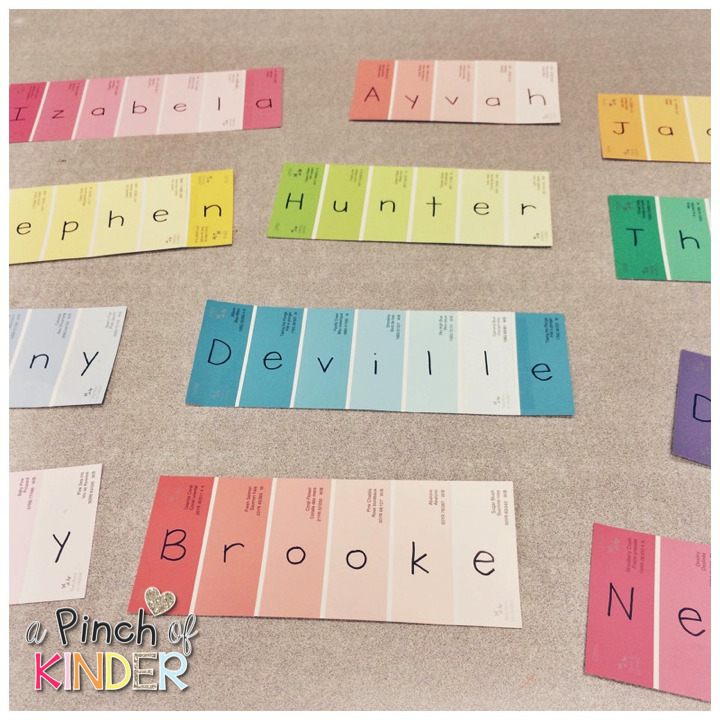 I just grabbed some paint chips from Home Depot and wrote their names on them with a Sharpie. Then I cut them to size or taped on an extra spot if they had more than 6 letters in their names to prep them. 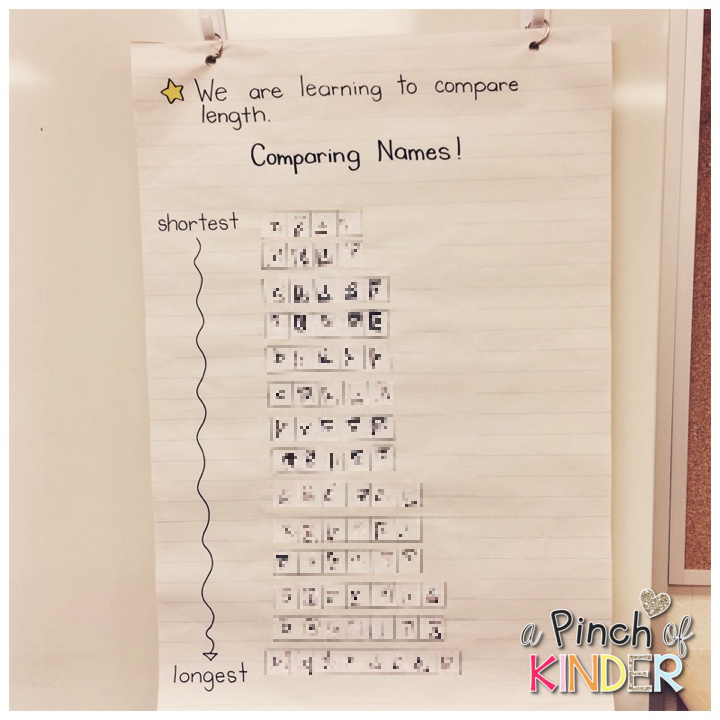 The students had fun comparing their names to other friends names and some even worked together to recreate our comparing name lesson and ordered the whole class. I do recommend laminating these though... they got pretty beaten up really fast! For those that wanted to I also set out a recording sheet where they could compare their name with a friend's name and record if their friend's name was shorter, the same or longer than their name. 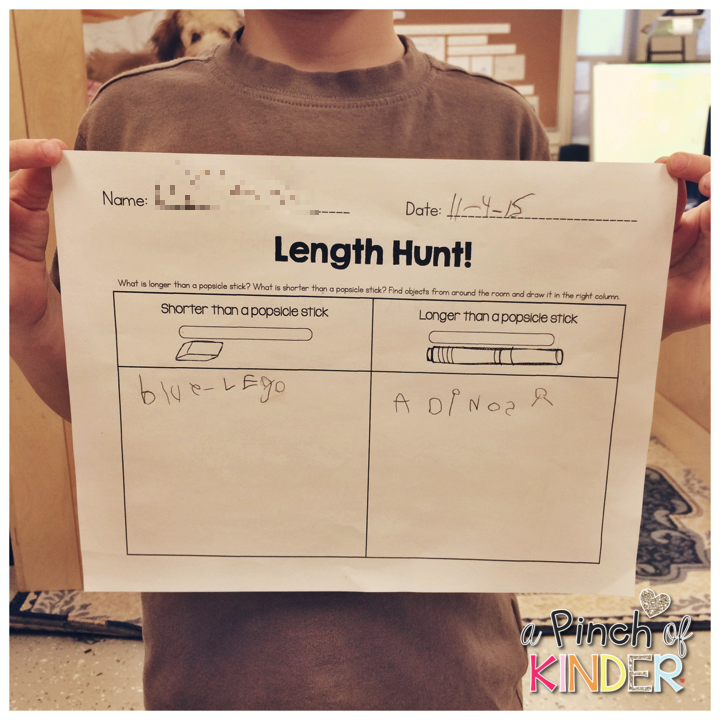 After I assessed for the vocabulary shorter and longer and found out which students needed more practice, my ECE sat with them to do this "Length Hunt" activity as a guided group. The were each give a popsicle stick and went around the classroom to find things that were bigger than a popsicle stick and smaller than a popsicle stick. Then they brought the item back to the table and drew a picture of it in the correct spot. Some even labeled their picture if they could! 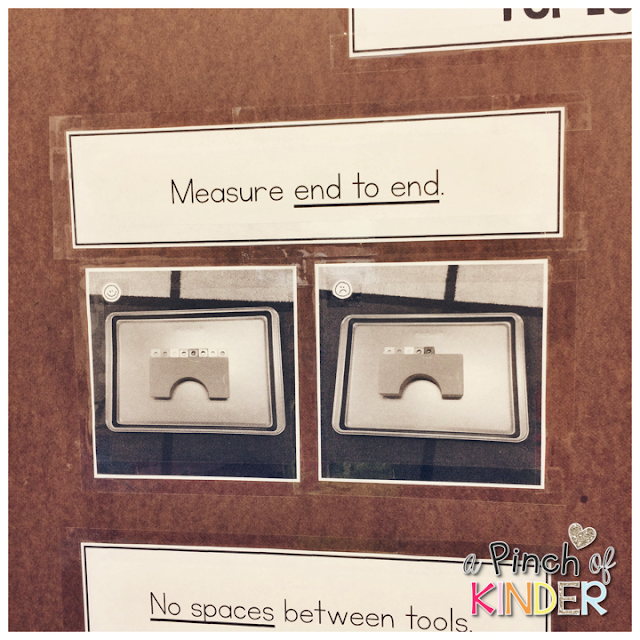 All of the printables you see in this post are in my newest math pack "Non-Standard Measurement Mania"! 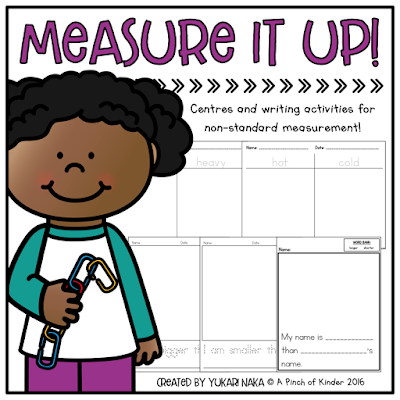 I even have some capacity centres/activities that I plan to use already in there and I will blog about it when I wrap up measurement along with comparing temperature and mass! That's it from me! Do you have any fun lessons you do for teaching length?